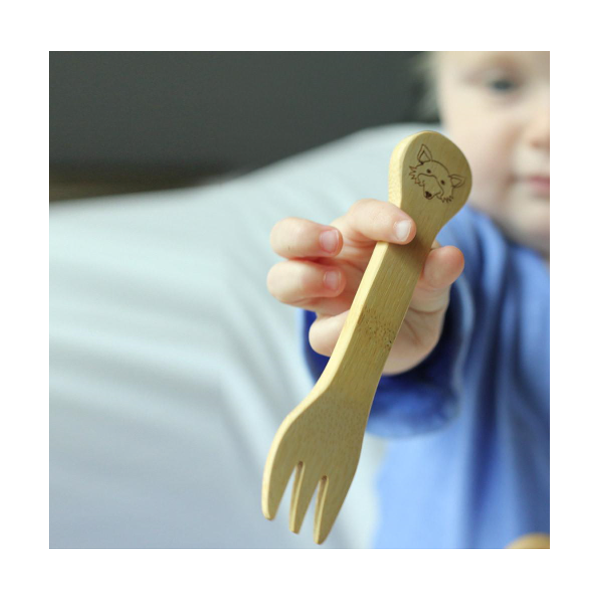 A healthy alternative to plastic, this fork and spoon are the ideal first set for littlies who are ready to try eating on their own. 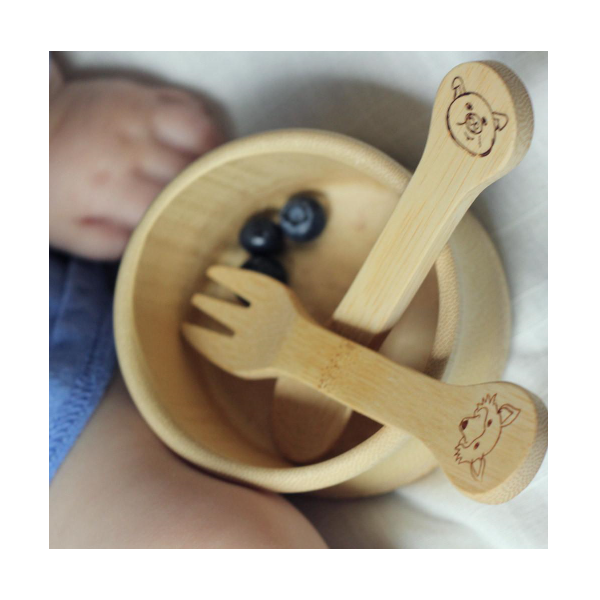 Designed for small hands and mouths they are made from USDA certified organic bamboo and finished with a certified organic food-safe flax seed oil. 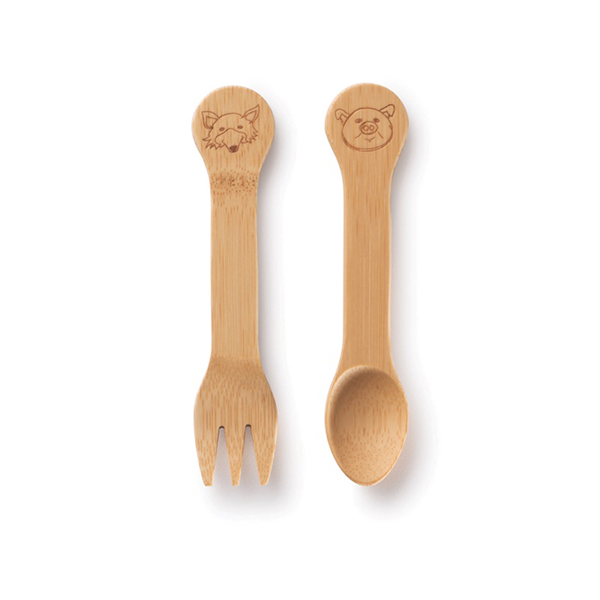 Each utensil has an adorable animal face etched into the handle.